A member of our highly qualified team will sit with you to discuss specifically what you would like to accomplish with your website. From there we begin the creation process. During that time, you will have the opportunity to review and approve at each step. 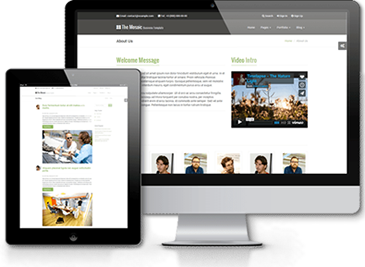 Our team will take your ideas, needs and wants to create a beautiful, easy to navigate custom website. We will begin by creating wire framing. This will allow you to see all the pages that will be included on your site and how they will interact with one another. From there we will create a color mock-up of your home page. Once you have approved both, your site will really begin to come to life. Content for each page will need to be provided. You may decide to use our photography services for professional pictures to add depth to your site. From conception to launch, depending on the size of your site, final review is usually ready within 4-6 weeks. This stage is the most exciting. Once you have reviewed and approved the final product, we will launch your new site within 24 hours.